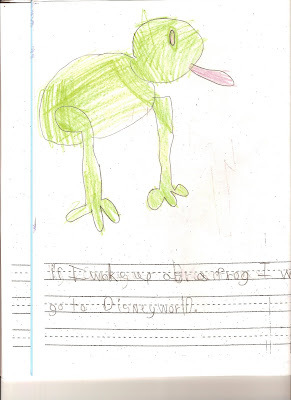 I really like your picture of the tree frog, Z. The green color you chose is perfect, and my favorite part is his pink tongue. You caught him in the action! I've been enjoying your drawings! I like the tree frog. I hope you like my comment. I hope you like that I like your story. Love, A.